Mr. John Evans was born on May 30, 1953 and passed away on Saturday, March 2, 2019. Mr. Evans was a resident of Michigan at the time of passing. 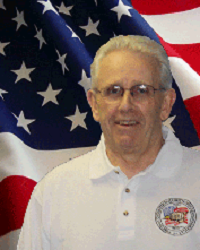 John was a longtime friend and President of Local 289 in Detroit, MI and will be greatly missed by many. 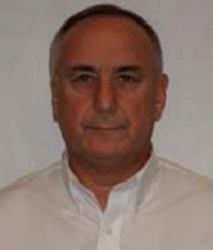 Griswold - Victor Joseph Gaska, III, (Porka), 53, of Griswold entered eternal life on Jan. 16, 2019 unexpectedly while at home. He was born Nov. 6, 1965 in New London the son of Victor and Beverly (Rolf) Gaska, Jr. of Waterford. 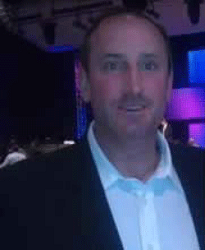 He attended local schools in Waterford and graduated from Waterford High School, class of 1983. Victor enlisted in the US Navy soon after graduating, serving in the sub service on the USS Dace SSN607 and was honorably discharged in 1988. He was currently employed as an armed security officer and was a union steward at Millstone Nuclear Power Plant in Waterford and had been there for the past 30 years. Besides his parents he is survived by his loving companion of 15 years, Lisa Niles and his step-daughter, Nicole Niles; Two siblings, Kim Carboni and her companion John Alexopoulos of Westerly, R.I. and Shawn Gaska and his wife Donna of Old Lyme; Nieces Tercelia Walz, Carlina Carboni, Leah Ballman and Nephew Michael Ballman; and numerous aunts, uncles, cousins, friends, teammates and shipmates. In addition, Vic leaves behind his loyal dog, Chief, who he loved dearly and who was by his side right to the end. Lovingly referred to as "The Doctor" or "Doc", Vic participated in many softball leagues and tournaments over the last 30 years. Some highlights for him were participating in the USSSA Worlds with the Norwich Squirrels twice in the mid 2000's and winning the Jimmy Fund Tournament in Groton in 2017. Also, 2017 was the last year he played for the team he sponsored "Gaska's Gang" in East Lyme. Later in life Vic developed a passion for coaching AAU Baseball for the Crush Baseball Team forming many lasting deeply cherished relationships with the kids. They meant the world to him. Vic was truly one of a kind. He was a big kid at heart which made him so endearing and such a hit with children and adults alike. He was loyal beyond reproach. His kindness and generosity knew no bounds. He was passionate, tenacious, and had a sense of humor and quick wit that was simply amazing. He wasn't just funny, he was hilarious. He loved people and he loved life. He will be sorely missed by his loving family and dear friends. A memorial service will take place at 10 a.m. on Saturday on Jan. 26, 2019 at Lakes Pond Baptist Church, 1144 Hartford Turnpike Waterford, CT. Interment with full military honors will be private at a later date. The Impellitteri-Malia Funeral Home, 84 Montauk Ave. New London has been entrusted with his care. In lieu of flowers, memorial donations can be made to the AAU Crush Organization for a memorial fund in honor of Vic and sent to Crush Baseball, 38 Waterhouse Lane, Mystic 06355. Tammy was a wonderful woman who lost her battle with Cancer on August 05, 2018. She was funny, kind, stubborn and giving. 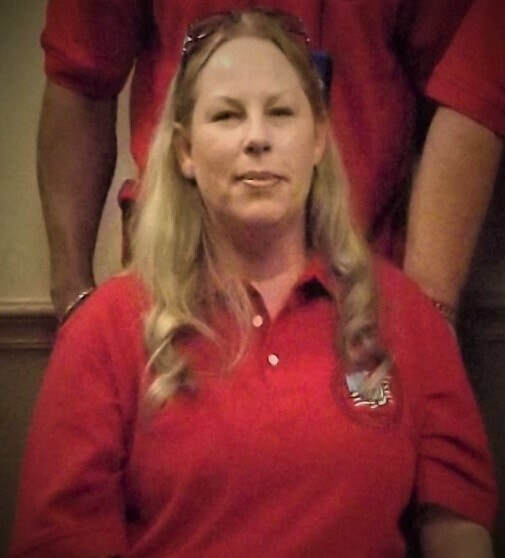 Besides being an incredible Mother and Grandmother, she was a fearless leader and held the UGSOA Local 293 Presidents position for a long time prior to retiring in September of 2015. Her UGSOA family will miss her dearly and will be forever grateful to her and her legacy. Edward P. Popil, 75, of Taylor, died peacefully with his children by his side on Thursday, July 19, following a courageous battle with cancer. He was preceded in death by Ellen L. Miller Popil. They were married for 44 years. Edward was born in Scranton on June 11, 1943, son of the late Edward T. and Mary Kruk Popil. He graduated from Central High School, went on to East Stroudsburg State College and majored in physical education. He served his country as a military policeman in the United States Air Force. His career with the U.S. Marshals Service spanned almost 50 years. He served 35 years as chief deputy U.S. marshal for the Middle District of Pennsylvania during which he worked in many capacities, including the special operations group, where he was detailed to Wounded Knee and the Pentagon riots at the Pentagon, in Marshals Service at the U.S. District Court in Scranton, Pa., for 15 years. He put his heart and soul into his career and held his colleagues in very high esteem. He enjoyed physical fitness and helped facilitate the U.S. Marshals fitness program in the Middle District of Pennsylvania. As a result, he was most honored to have the gym at the U.S. District Court in Scranton dedicated in his name. He was devoted to his family and his church, St. Michael's Ukrainian Orthodox Church, where he served as president for many years. He gladly worked hard alongside his fellow church members on fundraisers, including church picnics and pyrohy making. He was an avid fisherman and always looked forward to fishing trips with his good friend, Ron Leas, and his brother-in-law, Joseph Miller. 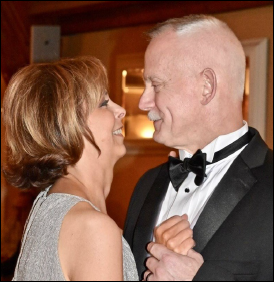 Also surviving are three daughters, Tanya, Clarks Summit; Lesya and her partner, Jennifer Lyke, Cinnaminson, N.J.; and Nadya and her wife, Lynn, Philadelphia, Pa.; two sons, Edward and his husband, Steven Levins, Rochester, N.Y.; and Michael and his wife, Marie, Laurel, Md. ; 11 grandchildren, Paul, Domenica, Thomas, Thomas, Jackson, Gabriel, Piper, Melissa, Jessica, Anastacia and Michael; one brother, Greg Popil; nieces and nephews. He was also preceded in death by a son, John Michael. It is with sadness that we announce the passing of Officer Peter Loscoe on November 3. Officer Loscoe gallantly battled a lengthy illness with grace. During this illness, he stayed true to his responsibility to protect and serve the people of Dominion and our state. Officer Loscoe began his duties as a member of Local 19 at Millstone Nuclear Generating Station in CT in October of 2015. He was a valued and trusted member of the security force who touched the lives of all those who had the extreme pleasure of knowing him. Officer Loscoe selflessly went out of his way to help others in need, even though it may had been a challenge for him to do it. He was the perfect example of honor, integrity, and sacrifice. Pete leaves behind his wife Lanie and his daughters Jessica and Nicole. He is also survived by his parents, and his brother and sister, grandchildren, and numerous nieces and nephews. Pete was gifted mechanically and gave generously of his time to family and friends. His interests were many, including trips to South Bend to see his beloved Notre Dame Fighting Irish, going to the shooting range with his buddies and hanging out in his garage working on the latest project. He enjoyed scuba diving, camping, hiking on the Appalachian Trail, working on race cars, along with numerous other hobbies and activities. Everything he did was done with passion, joy and trademark expertise. He once completely remodeled his own home, again proving himself the master handyman. ​Most important to Peter was spending time with his children and grandchildren who were his pride and joy. In a re-cent celebration of Lanie and Pete's life together, the important role those children and grandchildren occupied in their lives was obvious to all those invited. Donald Fitch Jr., 58, of Vacaville, died early May 13, 2017 while riding his motorcycle, when a Toyota Highlander that the California Highway Patrol said was traveling 100 mph on eastbound Interstate 80 collided with him. CHP officers saw the Toyota near the Cutting Boulevard exit around 1:40 a.m. and saw it hit the motorcycle as they tried to catch up, the agency said. The collision caused Fitch Jr. to fly off the motorcycle, and he died at the scene. The CHP arrested 31-year-old Kevin Mauricio Paredes-Orozco, of Suisun City, on suspicion of DUI, vehicle manslaughter, hit-and-run, and reckless driving. The CHP pulled him over after the crash after they say he did not attempt to stop on his own. Fitch was a member of Local 330 in San Francisco since 2013. 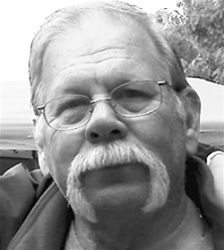 Bret Lee Conner, of Hughson, California passed Saturday, April 15, 2017. Bret, was born in Modesto, Ca and resided in Hughson, Ca for the last 48 years and graduated Hughson High School in 1977. Bret worked in Law Enforcement for 27 years at the Hughson, Escalon and Modesto Police Departments and was a member of UGSOA Local 155 working as a CSO at the Modesto Courthouse. Bret, enjoyed traveling with his family, history, reading, attending car shows and swap meets. He also enjoyed hiking and spending time outdoors. Studying God's word and having been a faithful servant of our Lord and Savior was very important to him. He was a loving husband to his wife Laura of 28 years and loving father to Bret Conner Jr and Danny Conner all of Hughson. He leaves his loving parents Claude and Shirley Conner of Hughson, brother Bart Conner of Modesto. He also leaves behind many aunts, uncles, nieces, and nephews and extended family and friends. Bret is preceded in death by his brother Brian Conner and four grandparents. He was a loving son, brother, husband, father, friend and public servant. Bruce Allen Holmes - On Friday, October 28th, 2016 we lost a brother. He was a member of UGSOA Local 320 for four years. Bruce was born on May 30, 1961 in Brigham City, Utah. He grew up in Willard and was a member of the Church of Jesus Christ of Latter-day Saints. He also served a mission in Dublin, Ireland. He loved hunting, fishing, camping, working on the farm, and enjoying the company of others. He leaves behind many fond memories for friends and family alike. He will surely be missed and remembered. ​Reserve Deputy Sonny Smith was shot and killed as he and other deputies searched for a burglary suspect in the area of County Road 1723 at approximately 2:30 am. 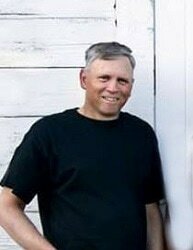 Deputy Smith was a U.S. Navy veteran and had served with the Johnson County Sheriff's Office for 11 years. He is survived by his wife and five children. 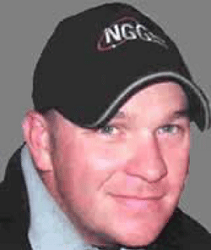 Deputy Smith was a member of UGSOA Local 23 and was beloved by the Local Membership and Executive Board. ​Richard E. Dixon passed away on December 24, 2014 at the age of 72. He was a U.S. Army Veteran and Beloved Husband for 49 years to Elizabeth "Liz" nee Slater. He was a loving Father to Laura (Stephen) Price, Heather Knade, and Catherine "Kate" Dixon and a proud grandfather to Zack, Stephanie and Adam and a Dear Brother to James Dixon. Rich was an active Member of UGSOA for more than twelve years and held the CSO Vice Presidents position on the International Executive Board. He was an asset to the Organization, a friend to many, and he will be greatly missed for many years to come. ​Donna passed away unexpectedly on March 27, 2014 at the age of 59. She was born on April 1, 1954 in Stafford, CT. She attended Stafford schools and received an Associates degree at Springfield Technical Community College. She worked for many years as the CSO Director at UGSOA International Union in Denver, CO and retired in 2010. 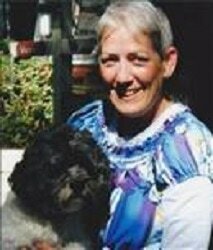 She lived in Myrtle Beach, SC where she enjoyed spending time with her mom and dog Barty. She loved taking walks on the beach, visiting friends and neighbors, reading, and doing puzzles. A celebration of her life was held at the American Legion in Palmer MA on Saturday April 26, 2016. ​John Adam Dace, a resident of South Lyon and a member of Local 275 (Ann Arbor, MI-DHS), died suddenly, on Thursday, June 28, 2012. He was 46 years old. Born in Detroit on September 26, 1965, John grew up in Southfield with sisters, Jeanine, Jennifer, his twin sister Juliet, and April. He graduated from Southfield Christian School where he lettered in Cross Country and went on to earn his Bachelor’s degree from Oral Roberts University in Oklahoma. John later entered specialized training to become a Security Guard and enjoyed the profession and friendships made within the field. 0ver the past several years he had turned to dedicate his life to Christ and strengthening his relationships with family and friends. John attended Christ for the Nations Bible College in Dallas, Texas and was re-baptized on April 2012. In following the path the Lord had laid for him, John's shining personality, warm heart and love for people was quite apparent. He was quick to offer help, especially to those most in need, could always be counted on and saw problems as opportunities for improvements. He loved kids and never lost the sense of wonder and imagination that made him such a joy to be around. In connection with his focus on spiritual strength, John also believed in maintaining his physical strength and health, making a routine of long distance walks, volleyball and biking. A Funeral Service was held at Bright moor Christian Church, 40800 West 13 Mile Rd., Novi, Tuesday, July 3, at 10 AM with Pastor Dr. Jamie Kjos officiating. Burial Oak Grove Cemetery, Milford. Memorials may be made to Life Challenge, 17667 Pierson Street, Detroit, Ml 48219 or to Brightmoor Christian Church. 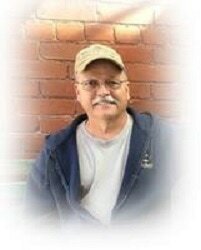 ​Bruce Matson, age 59 of Albion, Michigan passed away Monday, May 28, 2012 at Bronson Battle Creek, Michigan. Bruce was a lifelong resident of Albion. He worked as a Public Safety Officer for Albion for 25 years before he retired in 2000, then he worked in Campus Safety for Albion College for several years, in 2001 he went to work for the Federal Center where he had worked for the past 10 years as a member of UGSOA Local 206. He was a Past Exalted Ruler for Albion Elk's Lodge #1798, Treasurer for Albion Moose Lodge #406, member of Eagles-Aerie #1265; he enjoyed bowling, golf and traveling. Assistance with Memorial Contributions to the Elk's Crippled Children or American Cancer Society is available at the funeral home, wwwKevintiddfuneralhome.com. 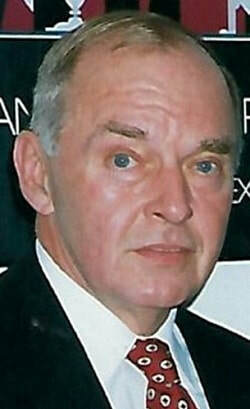 Lewis, James "Jim' E.- Age 77 of Savannah, TN, passed away Thursday, April 12,2012. He was retired from the Shelby County Sheriff’s Dept. following 29 years of dedicated service and was also employed as a court security officer, U.S. Marshall’s office in Knoxville, TN. Acting President of Local 68. ​Larry Erickson was born June 19, 1951 in Kalispel, Montana; and passed away unexpectedly at home on March 14, 2012. He is survived by his wife of almost 40 )ears, Susan, of Chattaroy; his children, Melanie (Joe) Walters and Josh (Kalee) Erickson; and his seven grandchildren, Gabble, Asher, Jalden, Braysen, Maycie, Kyler and Hudsen, all of Spokane. He was predeceased by his parents, Bob and Winnie Erickson; father-In-law, Ed Haeger, his granddaughter Gracie; and two nephews. He is also survived by his sister, Donna (Allen) Shilliam of Deer Park: his in-laws, numerous nieces and nephews, and relatives in Washington and Montana. He has been a federal court security officer at the United States Courthouse in Spokane and during his time there held the position of President of UGSOA Local 134. Larry loved many things, including talking, hunting, camping, talking, cooking/BBQing, "tinkering" in his shop, talking, inventing "a better mousetrap•, welding, building, his dog Stuart, RVing to soccer tournaments, talking, reading, solving all the world's problems In his garage over a beer, and last but certainly not least, the lights of his life, his grandkids. Our husband, father, and friend were certainly a one-of-a-kind man who touched so many lives. He taught us how to love and how to live, and how to work hard at everything. He was always "just peachy" and showed us how fulfilling life can be when you live it selflessly, and invest in the lives of others. Officer Raleigh J. Barnett, Jr.
​Raleigh Jackson Barneit, Jr., age so of Florence, K.Y passed away on Sun., Apr.10, 2011 at St. Elizabeth health care in Ft. Thomas, K.Y from a massive heart attack. He was a Federal Security Officer with the E.P.A, was the Chief Steward of UGSOA Local 251. He was also a 4th degree black belt in martial arts. 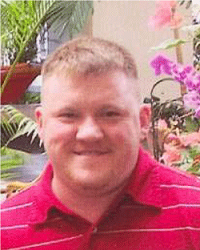 ​Richie Pinchoff, 28, was an avid scuba diver who worked in security at DTE'S Fermi Nuclear. Power Plant in Monroe County and was a member of UGSOA 'S Local 39. Richie was about 10 minutes from home after visiting a friend in Novi when his car was hit at 1:18 a.m. on Saturday, April 9, 2011. He was hit by a Virginia man driving northbound in the southbound lanes on l-275 in Van Buren Township, MI and alcohol appears to be a factor in the head-on crash. Pinchoff will lie in state at 10 a.m. Thursday at St. John the Baptist Church before mass at 11 AM., with the Rev. James Smalarz officiating. Burial will be in Rose lawn Memorial Park in LaSalle MI. ​Ronnie Thomas Kinman passed away Sunday evening, Sept. S, 2010, in a hospital in Butte. He was born in Butte on April 24, 1941. 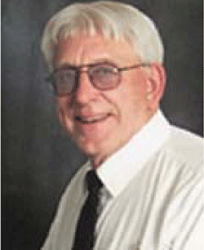 Ronnie attended butte schools and graduated from Whitehall High School in 1959. He served in the United States Air Force and upon his discharge went to work for the Anaconda Company for eight years. Ronnie joined the Butte-Silver Bow Law Enforcement Agency and retired Sergeant in 1992 after 20 years of service. For the past 12 years, he has worked security at the Federal Building in Butte. He was a member of the UGSOA Local 128 and the National Rifle Association, was an avid Green Bay Packers fan, and enjoyed fishing, hunting, camping, black powder shooting, motorcycles and riding snowmobiles. ​U.S. Marine Corps Master Gunnery Sergeant (RET.) 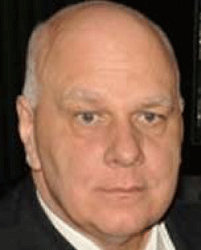 Donald A Browne, Age 58 passed away Sunday. October 3, 2010. Born on August 22. 1952, he was son of the late Charles and Elizabeth Pawue Browne. Officer Browne grew up in Chesapeake City, MD and was a graduate of Bohemia Manor High School In 1971 he entered the U.S. Marine Corps in Elkton MD, and followed with 26 years of distinguished service. He served in Vietnam during the Vietnam conflict, Moscow, USSR, and London, England. As an Embassy Marine Security Guard. He served the last 20 years as a Marine Corps Recruiter. Officer Browne was also a member of UGSOA 20. A loving father, he provided support and guidance to his son and daughter. Mr. Browne loved his family and was proud to serve his country. He will be greatly missed. ​At approximately 2100 hours on Tuesday, September 7, 2010, 54-year-old Auxiliary Police Lieutenant Dan Kromer of the Taylor (MICH.) Police Department was struck and killed by a hit-and-run driver on Westbound I-94. Kromer had stopped to assist a stalled vehicle. A passing car reportedly hit the disabled vehicle and struck Lieutenant Kromer. Who was standing nearby. Kromer was transported to a local hospital where he succumbed to his injuries. Kromer was a 20-year volunteer with the Taylor Police Department who had recently been promoted to the rank of Lieutenant. He is the second officer to die in the line of duty in the past two months in that city. 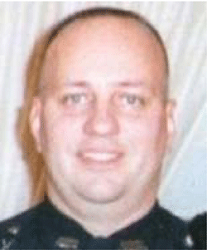 Corporal Matthew Edwards was shot and killed while responding to reports of a burglary in progress at an apartment complex on July 23, 2010. Kromer was a member of UGSOA Local Union 289 in Detroit MI. Teresa Lynne Cole was born February 11, 1961 in Decatur. IL and passed away on September 6, 2010. She was a twin. Timothy passed away June 18, 1991. Teresa never fully recovered from her loss. Teresa leaves family and many friends behind who loved her dearly. Her passions were swimming with the dolphins and lucky, boating at LlakeFolsom and Wynona Judd concerts. However, her law enforcement positions were her greatest passion. Teresa worked for Richmond Police Department from 1986 to 2004. She at the Sacramento Sheriff Department as a process server for a short time before being hired in 2007 as a Court Security Officer under The US Marshall service where she also held the position of Secretary Treasurer of the UGSOA Local Union No. 57. ​Frederick Walter Dantagnan III, on Saturday, July 24, 2010, was taken into Lord's arms at the age of 65. He retired from the New Orleans Police Department in 1987 after serving the New Orleans community in varying capacities for 22 years. He was a member of The Fraternal Order of Police, The Emerald Society. and a founding member of the Our Lady Of Divine Providence council # 9347 of The Knights Of Columbus in Metairie, LA. He was currently employed as a Court Security Officer for Inter-Con Security Systems, Inc. Stationed in the Hale Boggs Federal building in New Orleans, LA Officer Dantagnan was also the Vice President of the UGSOA Local Union 111. Proceeded in death by his father. Frederick W. Dantagnan, Jr. and mother. Bertha Seruntine Dantagnan. 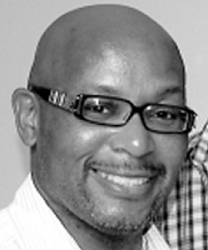 Vincent "Vince" Charles Mason was born in Wilkes-Barre on April, 1963, a Son to Jacob "Buddy" Whiti, of Wilkes-Barre, and the late Brenda Joyce Mason. He entered into eternal rest on Tuesday, June 1, 2010. Vince Graduated from G.A.R. Memorial High School IN 1981. After graduation, he joined the U.S. Air Force and was honorably discharged in 1990. Once leaving the military, he became a Correctional Officer and was employed 1990 to 1997 at SCI-Dallas, 1997 TO 1998 at SCI- Graterford, and 1998 to 2008 at SCI-Chester. Since 2008 he has been employed at the Allentown Community Corrections Center. He was also employed as a customs Protection Officer at Wackenhut Corporation since 2007 and was a member of UGSOA Local Union 285. Vincent enjoyed spending time with his family and friends. His hobbies in earlier years included karate, where he became a black belt, DJ'ing, dancing, and nightclubs. More recent hobbies included salsa dancing, playing the electric piano. and Vince didn't mind working. At one time or another he had three jobs. He had always strived to achieve. Weslaco/Raymondville - Ausencio Perez. Jr., 42, of Weslaco, entered into rest Thursday, May 13, 2010. He was born on November 4, 1967 in Hearne, TX. Son of Ausencio and Victoria Perez, Sr. of Raymondville. 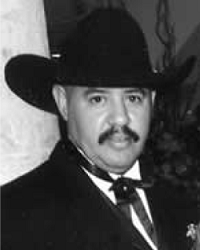 Ausencio worked as a Security Officer at a Federal site in La Feria, TX for Wackenhut Services and was a Chief Steward in the UGSOA Local Union 211. Joel's passion and dream was singing. He enjoyed sports of all kinds and a huge Georgia Bulldog fan. He enjoyed being out on the water. He Employed as a Security Officer at the Crystal River power plant and was a member of UGSOA Local Union 37, where he dedicated 10 years of his life. He was a member of the Lecanto High School class of 1996 and served our country in the U.S. Marine Corps. 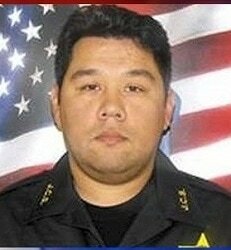 Special Deputy Marshal Stanley Cooper was shot and killed when a man entered the lobby of the Lloyd D. George Federal Courthouse IN Las Vegas, Nevada and opened fire with a shotgun on Monday, January 4, 2010. He was born Sept. 30, 1937, in Tulsa, Oklahoma, and was a resident of Nevada since 1964. Stanley retired as a Sergeant from The Las Vegas Metropolitan Police Department after 26 years of service. He was a special Deputy with the U.S. Marshal’s Office and a member of the U.S. Marshals Service since July 19, 1994 and was a member of UGSOA Local Union 76. 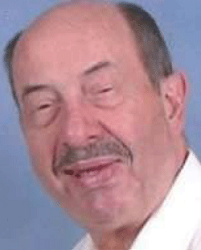 Stanley was also a member of The Church of Christ, the Fraternal Order of Police and the Zelzah Shrine.